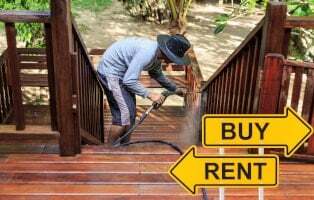 How do you know whether it’s better to buy or rent a pressure washer? Pressure washers can revitalize your outdoor surfaces. Many homeowners wonder if it’s better to rent or buy. While electric units cost less than gas, they can still run a few hundred bucks. What’s best for you? Does your home’s vinyl siding need some TLC? Learn how to pressure wash a house with this simple guide. Afraid to power wash your house? With the right pressure washer, cleaning your home’s siding and other exterior surfaces will keep it looking great to retain its resale value. Learn how with our helpful guide. Dirty deck? 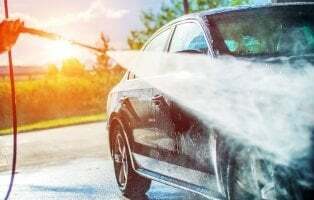 Here's how to clean it safely with a gas or electric pressure washer. 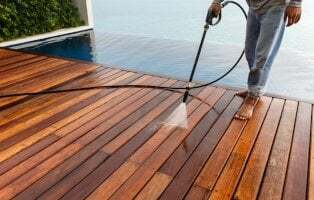 Our easy step-by-step guide will show you how to wash any deck without damaging the wood. Is your vinyl siding and wood deck covered with mildew? Years’ worth of grime on your concrete floors? Caked mud and bugs on your car? Read our helpful guide to learn how to use a power washer for those heavy-duty tasks. 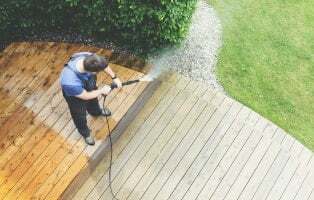 Before you operate a power washer, you need to understand how to use it safely. Use our beginner's guide to correctly operate a power washer the first time and every time.